The Mininova has a software plugin companion which acts as a 'Remote Control' so you don't have to rely on the hardware controls. This has to be opened inside your DAW host (Ableton etc). It is not a 'stand-alone' program like the Librarian and cannot be used on your computer without a host program. 2.) 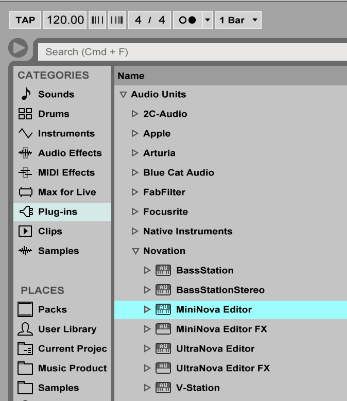 Once installed please ensure that you can see your plugin via the Ableton Plug-in menu, as shown below. This will also appear in your VST folder. 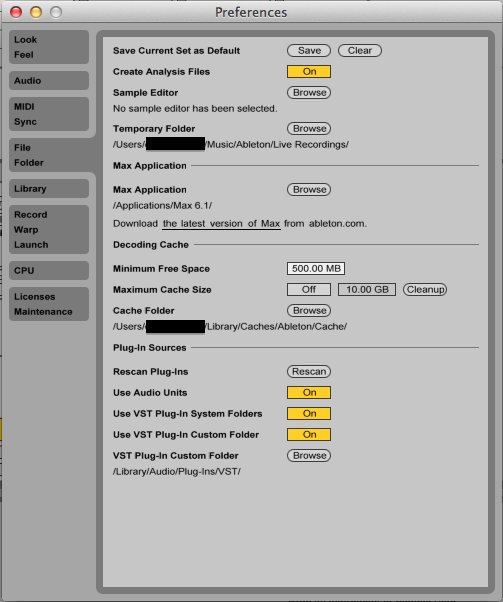 NOTE: If you do not have the Mininova Editor appear here, please ensure that you have directed Ableton to read the plugin from it's installation directory, as per image below. If you are using a Windows machine, your VST plugin directory will differ so ensure you are navigated to the correct directory folder. 3.) 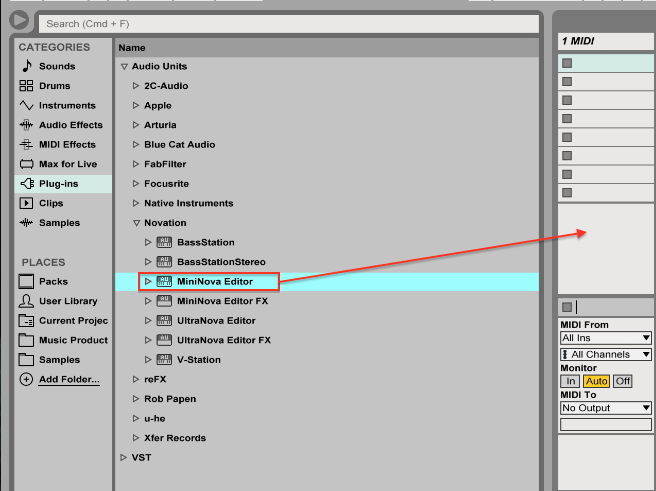 Once the directory folder has been scanned, you will need to insert the Mininova Editor plugin on to a MIDI Track. The Mininova Editor is not a "soft-synth" and will not produce audio so this cannot be used on an Audio Track. However, it is a MIDI plugin controller, which enables the control of the Mininova Hardware's parameters via MIDI. 4.) 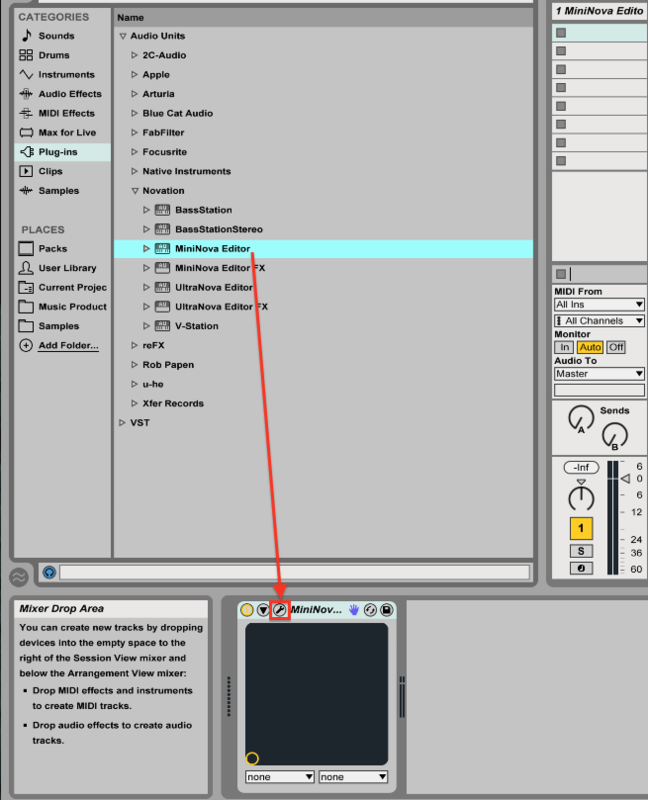 The Mininova Editor should appear automatically when it has been inserted into a MIDI Track. However, if this is not the case then manually click the Track Insert "Plug-in Edit" button which is located on the insert strip. NOTE: The Mininova Editor window will now open once the "Plug-in Edit' button is clicked. 5.) You are ready to edit and control the Mininova from this point onwards. 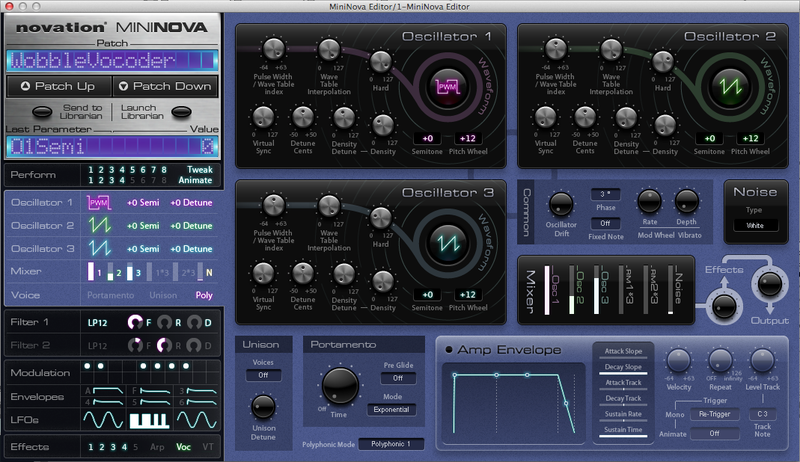 You should see the Mininova appear just like any other plug-in, as below.